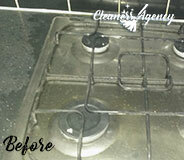 Our end of tenancy cleaning in Hornsey can be booked by every tenant or a landlord. 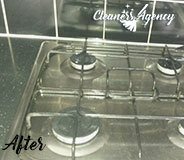 We provide our end of tenancy cleaning for houses, flats and apartments, no matter how big. 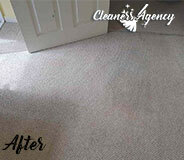 Let us take care of this deep final cleaning instead of you and reach the highest results you can imagine. If you are about to vacate a property, make sure to get in touch with us. Our housekeepers can provide this end of tenancy cleaning without any hassle and make it easier for you to secure the deposit which you pre paid. Our services are comprehensive and can be customised to match your needs and budget. We are a reputable and experienced provider who also offers a 48-hour guarantee. This means that in case you do not like how we cleaned your property or have some remarks concerning it, we will return and clean it free of charge. We have set high standards when it comes to cleaning. No matter whether you are moving out or putting a property on the letting market in Hornsey, you need to book a reliable end of tenancy service. We know many real estate agents, landlords and property managers so we have a remarkable experience with end of tenancy cleaning services. We know what customers expect from us and we are ready to provide them with it. We will collaborate with you on bringing your property back in shape. Tell us about your preferences and needs, and we will create a personal cleaning programme matching them. Have in mind that our services are very efficient and consistent. Our mission is to sanitise and disinfect your property from ceiling to floor. No matter how big it is, we can cover it entirely. We always work with precision and great attention to every detail. Do not waste more precious time and turn to our company. We are available in the entire Hornsey and you can make an appointment with our professional cleaners over the phone. We are already looking forward to hearing for you. Let us help you get your deposit back. I am here to leave a note to thank you. Thank you for sending so professional and hard-working cleaners to the property. If it was not for I would not have gotten the security deposit in full. 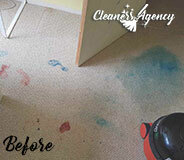 Your end of tenancy cleaning is more than superb, I would book again. At Cleaners Agency London we always know how to perform the best professional cleaning service which will fit perfectly the needs and preferences of our clients. This is why we encourage you to give us a call anytime you need some extra help with the cleaning of your home or office. You can always trust us and we will not disappoint you with our work, we are capable of tackling even the toughest stain and the biggest mess with ease. Because we use only professional cleaning tools and products, we can always provide the best cleaning services in London. We always work hard to satisfy the needs of our customers. We are ready to comply with your busy schedule and different preferences anytime and we will provide the results which will exceed all of your expectations for a professional cleaning service. We provide our help across entire London, seven days a week. If you are a tenant who has too many responsibilities on the top of their head and the final cleaning is the furthest thought from your mind, we suggest that you let us come to your rescue. We are a professional cleaning company that specialises in a number of cleaning services but the jewel in our crown is the end of tenancy cleaning. It is delivered by expert technicians. Not only are our cleaners fully trained to a high standard but they also have many years of hands-on experience. Over the years, they have had the chance to collaborate with many landlords so they know what is expected of them. Place your trust in them and you will see for yourself how good they actually are. We are based in the area of Hornsey and we can be found operating seven days of the week. Booking an appointment with us is easy – all that you have to do is call us and share with us your requirements and preferred time table. Our customers’ satisfaction is what matters to us which is why we always try to work beyond your expectations. Do not waste more precious time and call us now.